All three are themselves poets of note and all three certainly widen the avenues away from the tarsealed main road of poetry in New Zealand, precisely because they are overseas: outside, looking back in from the perspective of physical distance and the concomitant cultural capital involved. After initially establishing their overseas locale and history there, I asked them all the same simple questions regarding Kiwi poetry, as follows. Background: I’ve been in England since 1971, when I first came over to study, after being at Otago University. Love, easy adventure and travel, constant new discoveries and inspirations, habit, and some particular bond to Norfolk and Lincolnshire have kept me here. I’ve lived and worked in Little Ness (Shropshire), Liverpool, York, Upholland (Lancs), Rothwell (Northants), and had two year-long stints in Turkey, with jobs in Bursa and Diyarbakir. At the moment I’m in Markfield, between Leicester and Coalville, in the East Midlands. I’ve been home every year, for anything from a couple of weeks to two months. I stopped work (twenty-one years of Leicester Student Support Service, teaching/helping kids about to be permanently excluded from schools in the area) five years ago, and can now travel where and when I want. A bit like being born again. I’m a confirmed South Islander, and usually pass my visits round St. Arnaud, Lake Rotoiti, Westport, and especially Karamea, with tons of beach-walking, tramping, and slapping generally through the bush. Contrary to expection, including my own, now long flattened, this time with the land is wonderfully and completely free of Thinking About the World, and Thinking Poetry. I mostly leave that at home. Empty head is good: the wordless world just swims on in. That also applies to the hundreds and hundreds of cycling miles I cover in Norfolk and Lincolnshire, here in England. So, do you still consider yourself as — for want of a better term — a Kiwi poet? If so, why? You bet. Through and through, top to bottom, hammered and nailed into my heart and soul, perpetual and (sometimes, being so far away) a bit longingly. It seems to me inescapable, woven into the fabric of everything I do, and everything I write. The subject, the place, the concerns of my writing may seem often not overtly Kiwi, but they are, because the poetry all comes from the place that, in my case, is a bloody big inside spirit-map of the South Island. Of course, there are the big, bouncing, obvious bits: all of The Little Sublime Comedy (published by Carcanet last year) is my NZ life, set (to start with, of course, before we fly off to The Bad Place, The Better Place, and The Good Place) at Mt. Robert, St. Arnaud, Lake Rotoiti, and, being a big poem with big ideas, reflecting the values and beliefs and moralities and landscapes (and sailing insects and skiing pohutukawa-trees) of NZ; the collection of published this year; the Bush Bastards novel; the NZ sonnets; the poems about encounters with taniwha, the Oparara Fenian gold-diggings, and the Tale of Ao the Kiwi; Pacifictions (Cold Hub Press); and even Don’t think you know what happens next, one hundred little prose-poems, all set in NZ. Relatedly, do you even see such a creature as ‘Kiwi poetry’? If so, what do you see as its distinct features? If not, how would you describe New Zealand poetry, given this is a rather general term? Mostly, I expect folks would now expect me to say that deeper down, below the big, the bouncing, and the obvious, lies some universal process that means that poetry written about/in Aotearoa, can dance round the world, and be Meaningful, whatever the reader, whatever the particular, whatever that means. Nope, I think, for me, the opposite applies. My poetry is not the universal mooning, it’s the particular story, and that means my identification of being a kiwi poet, and writing kiwi poetry, is pretty damn simple: I was born and brought up there, I love it madly (perhaps distance has filtered my familiarity and concentrated it into something a tad ideal, though not deceptively ideal), and I write, pretty directly, about it. For a poet who writes mostly objective stuff (though still, of course, informed by subjective ideas, thoughts and feelings, you can’t escape that little troglodyte) tales, narratives, tiny travel poems, stories in poetry, things generally Not Me, this way of being En Zed in writing is, I guess, easier. 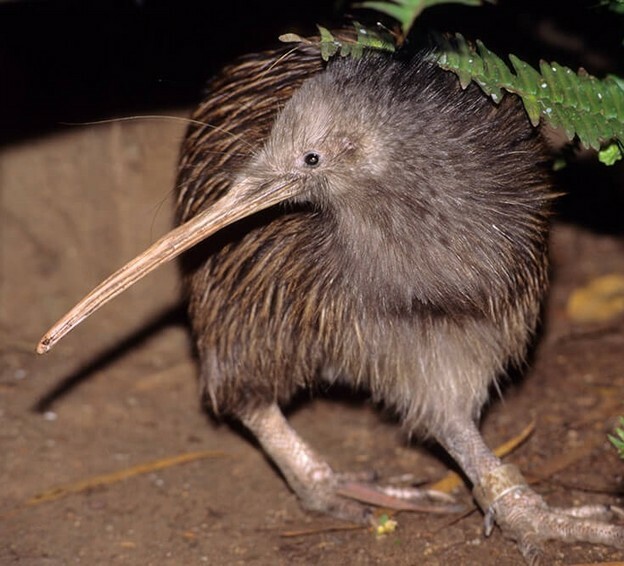 I don’t struggle with any Being Kiwi-Being Of The World problem: I’d never try to define or limit the huge wobbly variety of what a NZ poet might be, both in her/himself and in subject-matter [my emphasis]. I just have to look at what I end up writing. And it’s NZ to the core. Has being away, and being away so long, had any effect on your work? Probably. I go home often enough for NZ, for me, to be that perfect mixture of my own, ordinary life, and the longing love affair. I can’t do anything to change that now, but, just like knowing what I see when I look, it’s still a thrill, still a passion. Over the thirty or so returns, I’ve not had so much time that things have become in any way ordinary, but have had enough to Find Myself. Good old Hippies: they were right — you’ve got a soul, now go out and find somewhere in the world where it belongs: you’ll know it instinctively when you get there. So this isn’t an unfathomable mystery: if you know what you like when you get there, the heart and soul, NZ or otherwise, will get to the places it needs to, and fill you with that special and weird feeling that a place, or an area, corresponds with your soul, just like liking certain music, pictures, writers, instinctively, and then spending bloody years trying to argue yourself into it mattering that you find out why. Bugger the why. You like spinach, you don’t like turnips. You like leaf-green, you’re not so fond of red. So, for instance, I find Karamea, and I go back to Lake Rotoiti, and that’s it. There isn’t any more that’s more. Anywhere. In the world. Being away, even ever so long, doesn’t nudge that happy monster out. I’ve tried Samarkand, Mongolia, Iceland, Kazakhstan, Norway, Tunisia, Nepal, Egypt, Iraq, Iran, Turkey, Syria, Lebanon, Chicago, Vancouver, Morocco, Tokyo, Malaysia, Poland, the Orkneys, the Shetlands, Bulgaria, Armenia, Russia, Cuba, and on and on and on, and been dazzled and thrilled and excitingly endangered, rabies and all, and even felt strange fragments of belonging (Mongolia and Turkey). If that doesn’t budge the gorgeous old homeland, nothing ever will. And the poems themselves are the best witnesses to all that. So let’s share a poem by John, as well as supply several links to more of his mahi (work). Patrick, the bush is empty and still. If ghosts are thoughts then they are here. The creek blinks with gold. A fantail hither-whisks. It’s cold. under his brothers’ exploding hearts? Jesus, return him to dreams. Far away here the water gleams. It falls heavy and slow. Cree-cree goes the tahou. I can’t go. and, save us God, not here, not here. amongst the spars of manuka. The creek is wattled with gold. Just one more hour for luck. It’s cold. I am gone so far as the world can be. I live where the land is no man’s fee. We scribble over the cold, cold sea. I have grown a beard. Write to me. Keer-keer goes the tui. I can’t go. Carcanet and PN Review (United Kingdom publisher). Five Leaves Publications & Bookshop, Nottingham (readings, ‘Mad John’s Walk’) NB. Gallas and Rapatahana will be reading at Five Leaves on the evening of Monday, July 9, 2018. All welcome! Blair Reeve is another Southern (NZ) man. Our paths cross whenever I return to Hong Kong SAR during any given year. And here he is. Background: I left New Zealand at the beginning of 2001 and moved to Japan, where I lived for seven years. During this time I studied the Japanese language and didn’t write much poetry, though I did read quite a bit of New Zealand writing during this time. In 2008 I moved to Hong Kong and have been living here ever since. Hong Kong isn’t exactly a hub of international or Asian literature but I did do an MFA here in Creative Writing, the first of its kind outside of the US. I don’t think that held much value for me though, as ultimately I seem to have returned to poetry despite my focus on creative prose via degrees at Massey and the City University of Hong Kong. Now I visit schools as a children’s author and performance poet, giving workshops and doing readings. I published two long-form rhythmic narrative poems in Hong Kong as picture books in collaboration with the kiwi cartoonist Chris Stapp [Hogart the Hedgehog Turns Nink and Greta von Gerbil and her Really Large Lexicon]. These keep getting rejected by people in New Zealand as too difficult, whereas in the education level in Hong Kong, being vastly more competitive, students are somewhat more sedulous, at least in an academic sense. Yes I do, for a few reasons. There is a poetry scene in Hong Kong, a small but fairly vibrant one. There are only two separate scenes here, one in Cantonese and one in English. But among these scenes, I am the only long-serving (suffering?) Kiwi, thus I’m perhaps more aware of my national identity than, say, Canadians or British, insofar as my accent sounds unique among other accents in the scene. In terms of my poetry writing, I suppose I am a “Kiwi” poet, insofar as I tend towards a black sense of humour in my writing. Not that I equate black humour with kiwi poetry so much as film. I’d like to think no, as generalizing about a national poetry in these global times seems naive, and yet, sometimes I see or hear people read a kind poetry that reminds me of the dedication to craft and style that I recall from my kiwi poetry-reading days and I recall that a lot of kiwi poets took poetry ​writing seriously and were much better at it than I ever was. So I suspect there is a Kiwi poetry, but it would take a PhD or two to figure out what its specific attributes are. [However], I sense a commitment to ambiguity in the use of language which impinges on the personal. Kiwi poetry might be less concerned with the ego, less concerned with suffering and politics only insofar as the poets eschew personal drama for a curiosity about language and post-modernism [my emphasis]. This is an out-of-date opinion though. I’m not in touch with much kiwi poetry except the work of old acquaintances such as Richard Reeve, Nick Ascroft, David Karena-Holmes, and recently Cilla McQueen. Features? I’m thinking only here of compendiums of NZ poetry I may have read during the ’90s or my time in Japan. Diverse. Whenua. Historical. Outward-looking. Inward-looking. Tonally subdued. ​Self-deprecating. Sometimes funny. Well-written. Strong-willed. What would you like to see more of in New Zealand poetry, given your views above? It has insofar as the inputs are multifarious, surrounded as I am by a variety of immigrant/expat and local cultures​. But I’m a bit out there, doing my own quirky thing. Perhaps I feel bolder because of my uniqueness as a Kiwi among folks mostly from the northern hemisphere. However, just recently, I wrote a very long memoir-by-random-association poem which featured numerous links to NZ memories and issues among its thirty pages. I’d love to get that published, but it still needs editing. I do have a short chapbook of poems coming out of Dunedin, hopefully this year, on Maungatua Press. Sound Cloud — regarding being an expatriate Kiwi in Hong Kong. Parp parp! I’m a papa rapper! I’m on a par ten. I’m a rapper par none. Er, no, that’s bar none. Anyway, I pass. I parse. I passed the slam round! That’s five lines per par. I’m parched already, as parched as paper. with parsnips and peanut butter. I’ve got a partner. She participates too. I’m par for the cour— No, I said that already. Parlez vous si’l vous plait! Won’t let me ride the spiral slide. I’m a victim of park attendants & slam poets. I’m just a white guy passing out. Excuse me now while I park my arse. It is now my pleasure to introduce Orchid Tierney and to ask about her background, and whether she ‘still’ considers herself as a Kiwi poet. Thanks for these questions, which have given me the opportunity to think critically about these topics of poetic practice, distance/nearness, and community. So, do you see such a creature as ‘Kiwi poetry’? And if so, what are its distinctive features? As with any national literature, it becomes somewhat problematic to identify a set of normative characteristics and to translate these sprawling traits to often diverse local poetry communities. Rather than asking “What is New Zealand poetry?” — which can reduce poetic ‘community’ to a set of geographical centres (Wellington vs. Auckland vs. Dunedin vs. Christchurch) — I’d rather identify individuals and groups, who either interrogate and destabilise tradition and language, or works that expand poetic practice into other aesthetic fields [my emphasis]. In this way, historical writers like Robyn Hyde and Len Lye and current figures, such as Serie Barford, Kiri Piahana-Wong, Lynley Edmeades, Selina Tusitala Marsh, Albert Wendt, Michele Leggott, Robert Sullivan, Tusiata Avia, Ian Wedde, Sally Ann Mcintyre, and David Howard populate my conceptualisation of the Aotearoa literary landscapes. I keep resettling myself on Robert Creeley’s idea of ‘company,’ which I mention here in relation to the “Reading Series.” Unsurprisingly, Aotearoa poets similarly collect together into stylistic and language-inflected communities. (Although in our local contexts, one could say that we stick together like biddy bids.) [Rapatahana stress]. Yet geographical location also makes me want to consider how our current poetry communities spill into — and are shaped by — the Pacific. Certainly, the Poetry Foundation’s ongoing archive of Pasifika poetry is an important contribution to thinking about the polination of language and aesthetics across Oceania. Finally, has residing overseas affected the way you write your own poems? This leads me back to thinking about my own practice as a form of distance from Aotearoa. While contemporary American writers signficantly inform my work — Rachel Blau DuPlessis, Jennifer Scappettone, and Hannah Weiner, for example — my poetic inquiries are starting to draw on the environmental and climatic language networks between Oceania, Aotearoa, and Pennsylvania. For example, my first collection, a year of misreading the wildcats, (NY: The Operating System, forthcoming) explores plastics, petroleum cultures, climate change, and phantom islands, to invoke exasperations that have become too repeatable in both countries. Certainly this process of distancing as a way of becoming nearer to my poetic subjects is a project I wish to further explore. Which leads straight onto one of Orchid’s recent pieces regarding this enviro-waste-ocean insanity and the overflow into the dasein of poetry. As written via this gifted poet’s words, how to carbonise poetry? (I must also add here that she organised/edited the much-missed REM, a bible for ‘experimental’ poets in New Zealand and beyond … it would be brilliant to see it phoenix-rise). a spring on which Barbados tar floated. with cracks from which gas sessiled air. A couple of links to Orchid Tierney’s mahi. I have considered the thoughts and perspectives of three expatriate Kiwi writers, with regard to what makes up Kiwi poetry. I commenced these commentaries in 2015, from the standpoint of being a longterm expatriate Kiwi writer myself, who completely concurred with what Blair Reeve intimated earlier: namely, that he felt New Zealand poets were committed to ambiguity in the use of language which impinges on the personal. Kiwi poetry might be less concerned with the ego, less concerned with suffering and politics … the poets eschew personal drama for a curiosity about language and post-modernism. I also agreed (and continue to do so) with Steve Braunias when he wrote, Well you know publishing and literature in New Zeland is very much a Eurocentric pastime, and as he repudiated somewhat sarcastically, the narrowing of New Zealand publishing. Peter King is also spot-on with his spiel that New Zealand ‘literature’ is a cliquey little club run by a certain group of writers for the benefit of a certain group of writers, as he railed against the associated fiscal rewards and competitive gongs. But so what? Given the veracity of their statements, I have mellowed and muzzled away from being somewhat of an attack-dog, towards a more John Gallasian approach: I’d never try to define or limit the huge wobbly variety of what a NZ poet might be. Indeed, the writing of these commentaries — as well as more time spent by me back in the twin islands — served to show just how massively variegated this slim country’s poetic panoply essentially is. OK. So what if there is a cliquey little club with Whitey, whitey, everywhere! (Braunias again), stuck nose-deep in English words? For there are so many poets (and their readers ) who write fine work regardless of moolah and brouhaha, who cover so many bases, if you will, anyway. Just like these different three Kiwis afar continue to do themselves and whereby they are fine with being called Kiwi poets. Orchid Tierney again, epitomizes my approach, with her statement, I’d rather identify individuals and groups, who either interrogate and destabilise tradition and language, or works that expand poetic practice into other aesthetic fields. Which is exactly what I have always been aiming to do, eh. For in doing so, the base is constantly being widened to actually include more poetic multi-componentry, given the distances yet to travel. More destabilisation to follow soon. Watch this space.